Tamil Nadu Government on Wednesday sought opinion of the Ministry of Home Affairs on release of the seven convicts in the Rajiv Gandhi assassination case. In the letter addressed to Union Home Secretary Mr. Rajiv Mehrishi, Chief Secretary K. Gnanadesikan has requested the Centre to communicate its views under Section 435 of the Code of Criminal Procedure, which mandates the State Government to consult the Central Government while remitting a sentence in relation to certain offences. The consultation becomes mandatory in the present case since the crime was investigated by the CBI which was constituted under the Delhi Police Establishment Act, 1946. 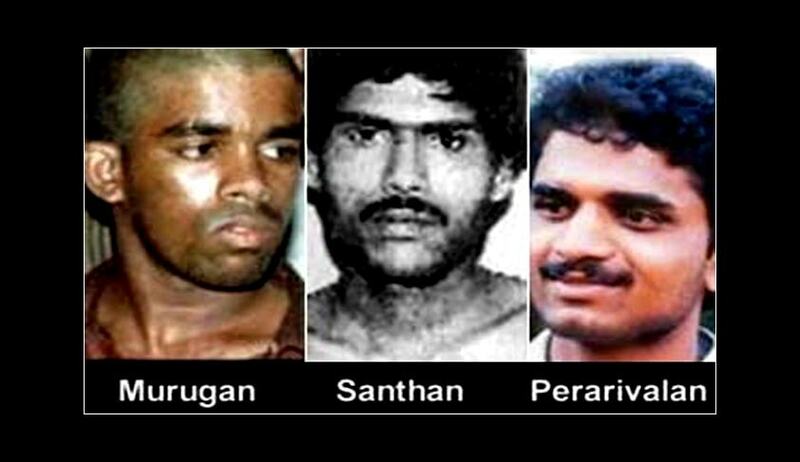 In the letter, the State claims that it has received petitions from the convicts, namely, Murugan, Santhan, Arivu, Jayakumar, Robert Payas, Ravichandran and Nalini, with requests to release them since they have spent more than twenty years in prison. “The Government of Tamil Nadu after taking into consideration the petitions of the seven convicts has decided to release the seven prisoners mentioned above, since all the seven persons mentioned in para 4 above have already served imprisonment for 24 years. It may also be mentioned that out of seven persons, four persons, namely V. Sriharan @ Murugan, T. Suthendraraja @ Santhan, Jayakumar and Robert Payas are foreigners i.e., Sri Lankan nationals,” the letter states. A similar request was made in February 2014, by the J. Jayalalithaa led Government to the then UPA Government, after the Supreme Court had commuted the death sentence of the convicts into life term, on the grounds that the 11-year delay in deciding their mercy petition by the Central government had a dehumanizing effect on them. You may read the LiveLaw article here. The Centre had then rushed to the Supreme Court against the State Government’s decision. Subsequently, Apex Court had directed the State to maintain status quo and had referred the matter to a Constitution Bench, framing seven questions for its consideration. You may read the judgment here. The Constitution Bench had ruled that the State Government could not have unilaterally remitted the sentence awarded to the convicts. The Bench, headed by the then CJI H.L. Dattu, had observed that since the case was probed and prosecuted by the CBI, which is a central agency, the decision could not have been taken without the “concurrence” of the Central Government. Having laid down the law, the Constitution Bench has now referred the matter to a three-Judge bench to separately decide the factual question of whether the February 19 order issued by the Sate was correct or not. The matter is yet to be listed before the three-Judge Bench. You may read the judgment here. Mr. Rajiv Gandhi was assassinated in 1991 by a woman operative of the Lankan Tamil separatist outfit LTTE, who greeted him with a bomb strapped to her chest during a rally in Sriperumputhoor in Tamil Nadu. For years, the case has been linked to Tamil sentiment and all regional parties in the state have campaigned for the convicts’ release.